Hundreds of runners will be taking to the roads in six different County Galway locations for the next two month. 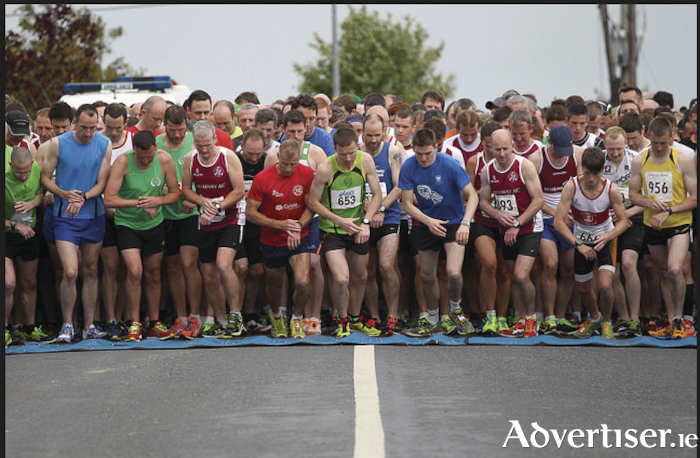 The 2018 Galway 5k series begins on Tuesday April 24 in Caltra and concludes in a grand finale on Tuesday May 29 in Clarinbridge. It promises to be a great series again, and the 2018 series co-ordinator, Brendan Monaghan of Tuam AC, is confident it will be another super series. “The 5k series is for everyone, for runners of all abilities, and every single one of the 1,000 people lucky enough to get entry into the series are equally important to us. There are no prizes for the winners, the biggest prize is taking part and enjoying the series,” Monaghan says. Monaghan is urging everyone interested in running, jogging or generally keeping fit to take part in the 2018 series. Online entries for the 2018 series open at 8pm on Friday March 23 via Active.com and is sure to sell out. The series costs €30 for six races and competitors who complete at least four of the six races will receive a specially designed T-shirt. Page generated in 0.2123 seconds.